PHOTOS: Queen’s Park House is back! 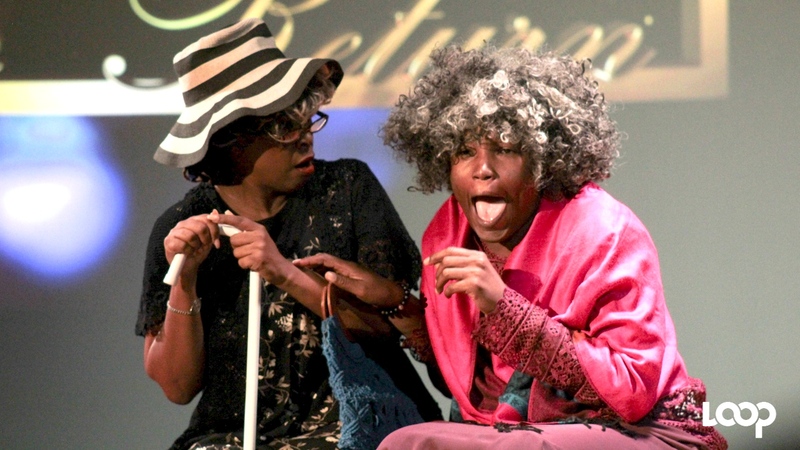 Carla Springer-Hunte and Toni-Ann Johnson had the audience in stitches with their vintage Laff-It-Off skit. The historic Queen’s Park House has been restored – even beyond its former glory. 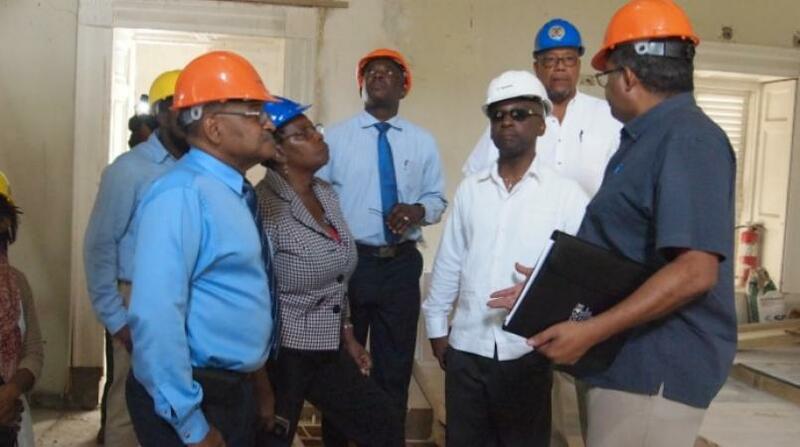 It now stands as a purpose-built, permanent home for theatre arts in Barbados. 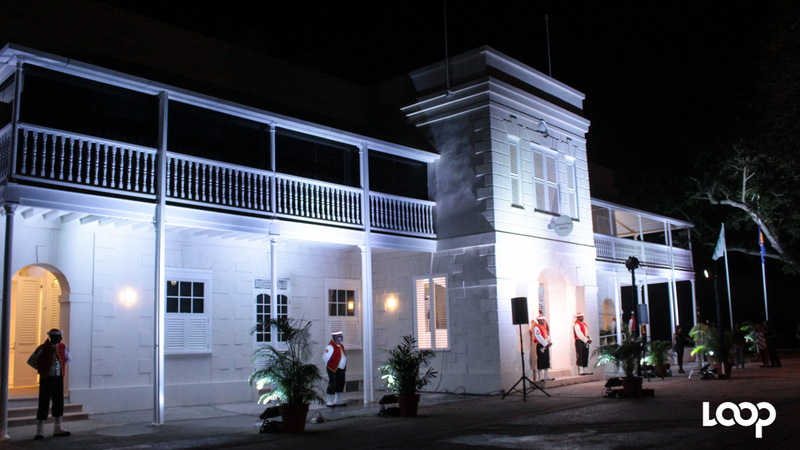 This is according to Culture Minister Stephen Lashley, who last night outlined the restoration of the historic venue, first built in 1786, which is within the UNESCO World Heritage Site of Historic Bridgetown and its Garrison. Minister Lashley was joined in the official party by Prime Minister Freundel Stuart, National Cultural Foundation Chairman Maureen Graham and CEO Cranston Browne, Monsignor Vincent Blackett, as well as representatives from Barbados’ artistic community. They welcomed a who’s who of Barbadian performing and visual arts as they unveiled the plaque and cut the ribbon to officially open the refurbished space which houses the Queen’s Park Gallery and the renowned Daphne Joseph-Hackett Theatre. The project, initially scheduled to for 50 weeks, was completed in 36 weeks and came in at a cost of $6.9 million. The theatre has a seating capacity of 200, including 8 seats for persons with accessibility challenges, and has been outfitted with a built-in audio and lighting systems, electronic surveillance, fire-detection system and an elevator. Though the renovated space was used for some exhibitions and performances during Carifesta XIII in August, last night’s official re-opening was marked with much fanfare, paying homage to the rich history of the theatre and giving glimpses of the upcoming generation of Barbadian creatives. “The decision to keep faith with the creative community and secure the restoration of this cultural gem will forever stand as a significant historical step that was given full support by the Prime Minister and Cabinet of Barbados. The legacy of this work leaves an indelible mark on the cultural landscape and creation of a purpose-built centre for the arts in Barbados,” Lashley said. The evening took guests down memory lane with theatrical, dance and vocal performances, as the official party was welcomed into the Gallery and given a brief history of the House by Lady Gilbert Carter (portrayed by Sarah Venable); they continued on their tour accompanied by the Lord High Admiral of the Barbados Landship, Vernon Watson and were then ushered into the Daphne Joseph-Hackett Theatre than none other than the late 'Ms Hackett' herself (portrayed by Diane Kennedy). There were video presentations charting highlights in the theatre’s history and the restoration project. 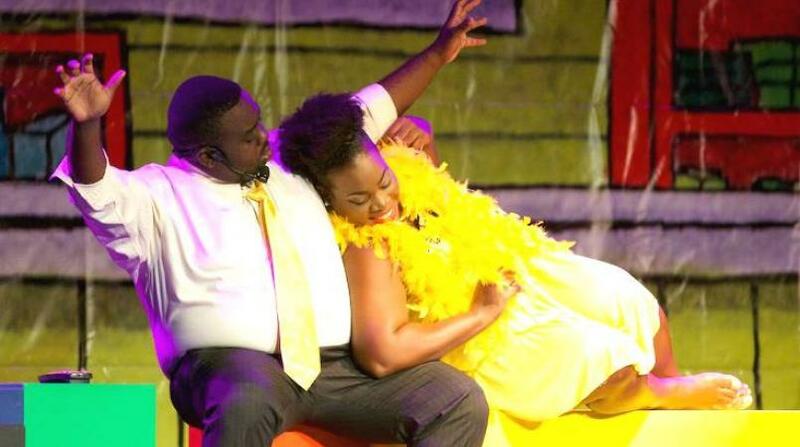 The nostalgia was at an all-time high for the artistes in the audience as they saw themselves in some of the clips, as well as colleagues who are gone but not forgotten such as Wendell Smith. 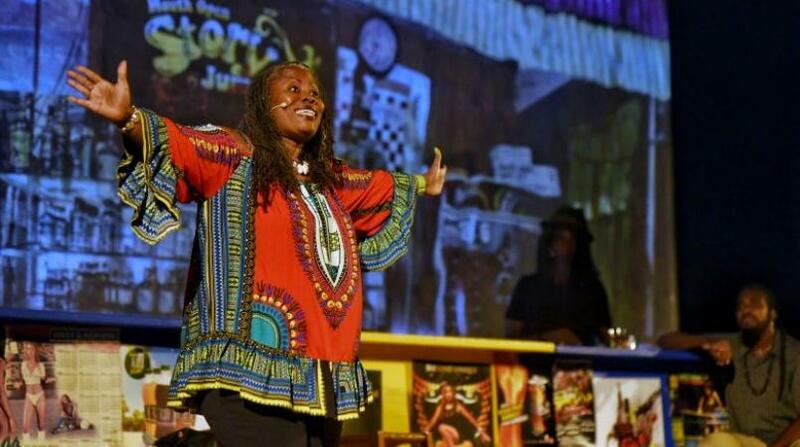 Peals of laughter rang out in the theatre from the antics of actors Jennifer Walker, Yolanda Holder, Toni-Ann Johnson, Carla Springer-Hunte and Ishiaka McNiel, while performances from the ‘new guard’ – dancers Aisha Comissiong and Keisha Amory and the exciting Marlon Legall Voice Project were well received. The audience left buzzed by the performances and impressed with the modern facilities of the new Queen’s Park House as the night ended with a brief reception.